Ohio Haunted Places is a tour guide to haunted places through out Ohio and some selected places in Pennsylvania and Canada and more haunted places coming soon. 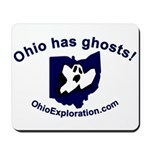 If anyone has their own favorite Ohio haunted places and they want to have them posted here please e-mail me. And i am always looking for more haunted places i have missed or couldn’t located the place.Posts are grouped by county. If anyone has interesting stories to tell and we might feature them on Ohio Haunted Places please contact me. All pictures are taken by me all rights are reserved by Ohio Haunted Places 2008.In less otherwise marked. Some of these places are private property and some are hazardous.Enter at your own risk.